This is the first in a series focusing on Humanities funding. The next few posts will highlight opportunities of interest to Spelman faculty. 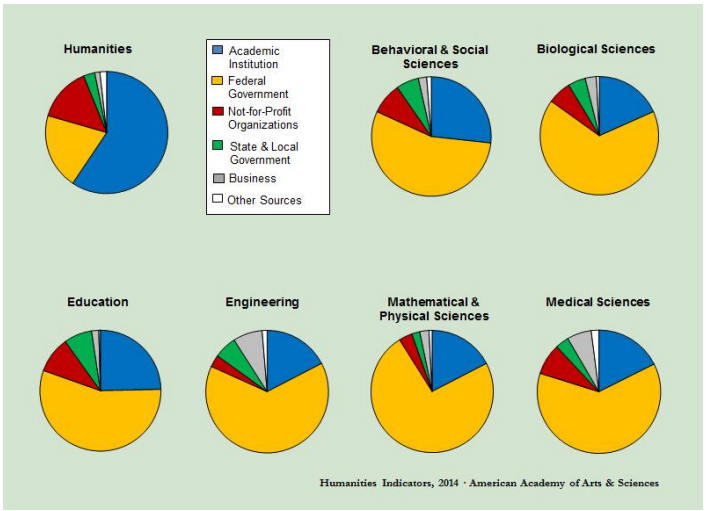 While federal funding is critical to research in most other disciplines, humanities researchers rely to a greater extent on their own institutions and on private foundations. According to Humanities Indicators, the proportion of humanities research funded by federal agencies declined from 30% in 2005 to about 20% in 2014. The only area with a lower proportion of federal funding is Business and Management. The National Endowment for the Humanities (NEH) has had a tumultuous history. From a high of $400,000,000 in the late 1970s, federal appropriations for NEH have remained stable around $150,000,000 annually since the mid-1990s. (Humanities Indicators). Public support has been critical in limiting cuts to federal humanities funding, not only to NEH but to U.S. Department of Education programs for language and area studies. A portion of NEH funding is distributed to state humanities councils which support local programming and events. The NEH programs of greatest interest to Spelman faculty are, of course, Research and Education. 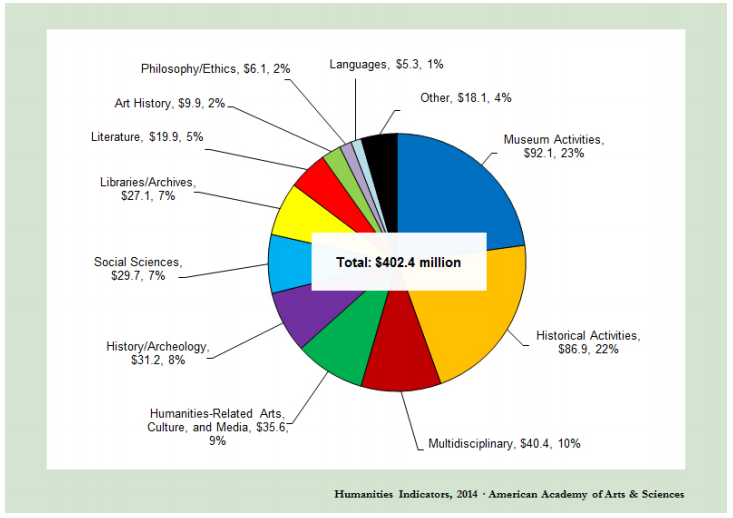 Humanities funding from non-profit organizations totaled just over $400 million in 2014, with over half of this sum going toward museums and historical (including archeology) activities. This funding climate discourages many Spelman faculty from applying for grants and fellowships. 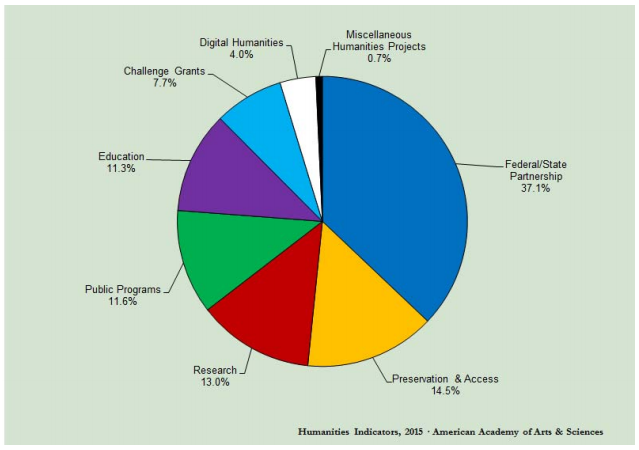 It is true that funding rates for many humanities programs hover around 10%. However, in the next few posts I will make the case that securing funding for research and pedagogical projects in the humanities IS possible.